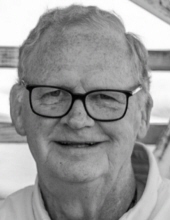 Mr. Charles Cleaborn Tyron, 73, of Mayflower, Ar departed this life on Friday, January 18, 2019. He was born and raised in Chickasha, OK on October 28, 1945 to the late Cleaborn M. and Lucy (McBroom) Tryon. He is proceeded in death by his parents, eight brothers and four sisters. He is survived by his wife, Elizabeth Ann Barnard Tryon; three daughters, Tammi D. Tryon, Terri B. (Jeff) Tryon, and Tonni K. (Raphael) McCuien; nine grandchildren Jeremy, Justin, Andrew, Consuela, Haven, Kayelyn, Raphael, Kelton and Kendrick; four great-grandchildren Adelin, Kensley, Gracelynn and Alana with a great-granddaughter on the way; one brother Billy Bob (Judy) Tryon of Blanchard; one sister Rita Jo Climer of Chickasha; one brother-in-law Clifford (Zoe) Barnard; a very special cousins Barbara Parham and a host of nephews, nieces and cousins. He was a father figure to many through his years of coaching. Memorials can be made to the American Lung Association at www.lung.org. Celebration of Life Service will be held 1:00 pm, January 26, 2019 at Amber Community Center, 404 S. Holly Street in Amber, Oklahoma. Services entrusted to Larry G. Acklin Funeral Home, 910 Walnut Street, Conway, Ar. "IN YOUR TIME OF NEED...WE CARE." To send flowers or a remembrance gift to the family of Charles Cleaborn Tryon, please visit our Tribute Store. "Email Address" would like to share the life celebration of Charles Cleaborn Tryon. Click on the "link" to go to share a favorite memory or leave a condolence message for the family.